Blog › The best beer mat in the UK?! The best beer mat in the UK?! 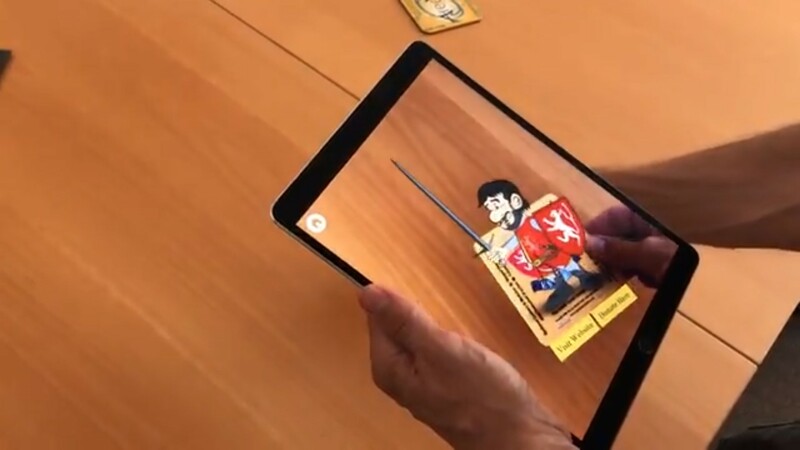 How to combine a Medieval Battle, a beer mat, and cutting-edge digital innovation, is a task Areca Design relished. To help promote this weekend's Battle of Evesham Festival, the creative team have developed a first for the UK. An animated Simon de Montfort, founder of the English Parliament, who springs to life, waves his sword at you and described the battle, which happened in 1265. The beer-mat reverse brings to life a computer-generated version of the battle, where 15,000 men fought on Green Hill, on the northern edge of Evesham. 5,000 men were killed on the day, including deMontfort. The free to enter festival encourages visitors to step back in time to the 13th Century when the Battle of Evesham is re-enacted on the 4 & 5 August 2018. Taking place in the Heart of Evesham, featuring a medieval festival and camp with life-demonstrations of cookery, weapons and medicine, plus the main battle re-enactment. The latest digital offering from Areca Design, augmented reality or AR – allows the user to bring printed objects to life. Probably the first to use AR technology in this way, which makes this probably the best beer mat in the UK! The beer mats are found in all of the local pubs in Evesham and by simply downloading the Discover Evesham App, users can transform their drinking experience by learning about the upcoming event. Find out how AR has supported the promotion of the Battle of Evesham and how it could benefit your business, by contacting the friendly team at Areca Design for an initial discussion on 01386 570360.